It isn’t every day that you meet a 26-year-old female farmer. 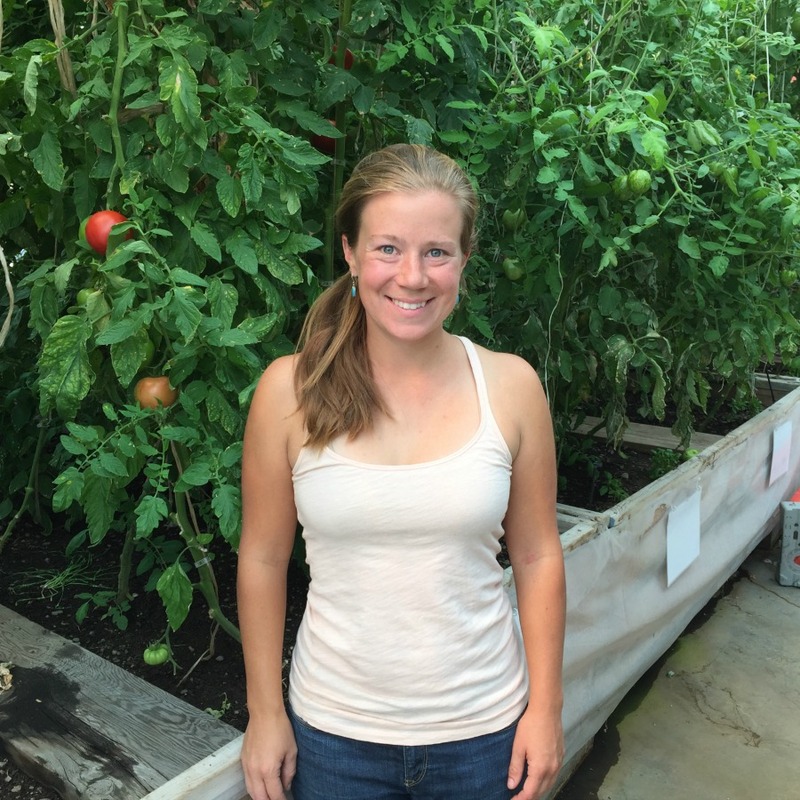 But like a growing number of new college grads, Sara Berman wanted to grow her own food. Fortunately, unlike many aspiring young farmers, she and her fiancé Ed Zinager were able to purchase land and realize their dream. The name “Squash Blossom Farm” mimics Sara’s initials and demonstrates how innate and inextricable the fruits and flowers of her labor are to her very being. As one of the youngest farmers contributing to our local food system, she is truly a modern renaissance woman. What local food products do you produce? Where can your local food products be purchased? When and why did you start Squash Blossom Farm? My fiancé Ed and I have both worked on different farms all over the world, but were ready to make our own farm a reality here in the Wood River Valley. After looking at many options- from bare land in the Fairfield to smaller lots in Hailey, we came across the property in Bellevue and immediately fell in love. We bought the place in September of 2014. Our immediate goals were to produce as much food for ourselves and my parents as possible, then go beyond that to create a financially viable small scale farm that can provide food for members of the Wood River Valley while allowing us to live the lifestyle that is most appealing to us. How did you become interested in food production? I first became passionate about sustainable food production in my senior biology class with Harry Weekes at The Community School. We spent the entire semester planning a local food feast, for which we sourced food from local farms and donated proceeds to the Idaho Food Bank. I continued to learn about food and farming throughout college, and interned on various farms in Ohio during college and throughout South America during eight months of post-college travel. What do you love most about growing food? Cooking and eating food that I grew myself brings me unquantifiable satisfaction and pleasure. The process of starting seeds, working with the soil, and watching the miracle of plant growth, all while knowing that our labor is contributing to our own and our valley’s sustenance is so fun and fulfilling! Currently, our biggest challenge at Squash Blossom is having enough time and resources to pour into our passion! That being said, we find the challenge of figuring out how to make our system work very exciting. How are you teaching kids about food production at The Sage School? I work with a class of upper schoolers for a 2-hour period each week, and 6th to 12th graders have additional opportunities to be involved in the greenhouse throughout the year. While we teach some formal lessons in the greenhouse, most of the teaching is through active work to keep our greenhouse productive. The students are an integral part of cultivating, harvesting, packaging, and labeling the crops that we sell to the community. At The Sage School, my hope is to get more kids excited about producing food. By helping them learn about various methods and scales of farming in the United States, and having them actively experience small-scale, sustainable food production in our greenhouse, they are able to come to their own conclusions and make their own decisions regarding the food they choose to eat and purchase. It would make me so happy to see some of our kids continue on to be involved in food and farming. In my opinion, the philosophy of organic is extremely important. Use of chemicals and fossil fuels in food production has become way too prevalent. That said, I think official organic certification is both unnecessary and unrealistic for many small scale producers who are already using natural, sustainable methods. Official organic certification adds another layer of logistics and bureaucracy to farmers who are already working hard to produce high-quality, natural food. I think this concept is becoming more accepted, and the public is starting to understand that local food does not have to be organically certified to be great. I am concerned about GMOs, primarily because I think it dangerously limits both producers and consumers in terms of potential food choices. On a whole, diversity is regarded as a very positive and beneficial thing; it seems foolish to knowingly eliminate diversity in terms of the food we produce and eat. I would like to see the culture around food choices change. I think with continued support and awareness, regionally produced, sustainable food can become a real option for many communities. Right now, there is a huge stigma that “local” or “organic” food is too expensive for the average person. I think with continued efforts regarding food policy, as well as a resurgence of small farms in America, the culture of our food system can continue to change and Americans will start to see eating local, sustainable food as a viable option.